Warm-Up! 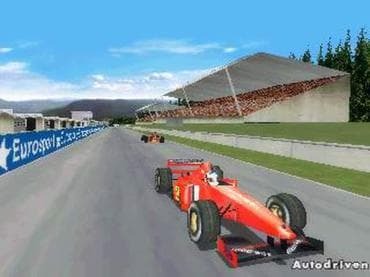 is Formula 1 simulator with an arcade mode that is suitable for players who just want the speed and fun of a racing game. When you play the full simulator in Warm-Up! you need to take into account all the smaller technical and physical details that are important in Formula 1 racing. You will definitely need superb driving skills to finish first but equally important are the fine-tuning and pit strategy in a race. Whether you love a more casual arcade racing experience, or a more fully feature formula car simulator, Warm-Up! is an excellent game for both. Fast action and realistic 3D graphics. If you have questions about Formula 1: Warm-Up game, please contact us using this form.